Very clever, Veronica. And wonderful, memory sticks have never been so beautiful. gosh you are quick – I missed that one entirely (marbles) think I might use that one next 🙂 loved your bobbing apples – you live in a very beautiful part of the world. 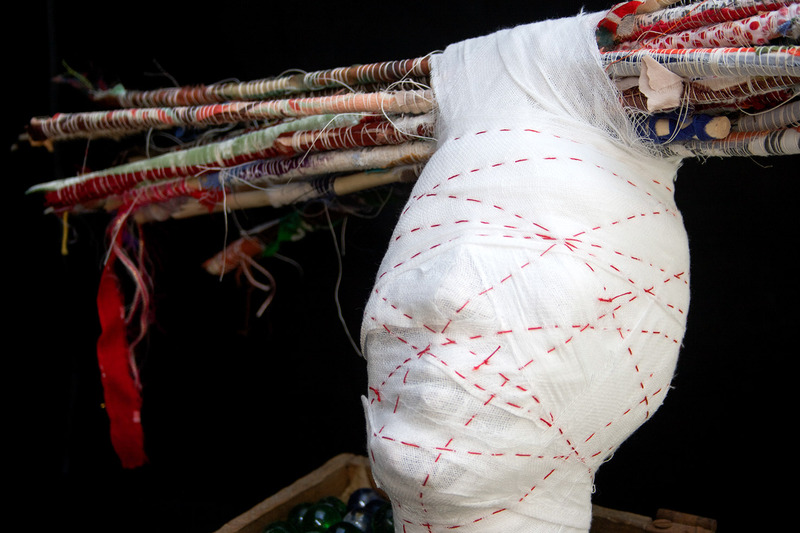 I’ve always wondered about the power that bundles and wrapped objects possess…any thoughts? 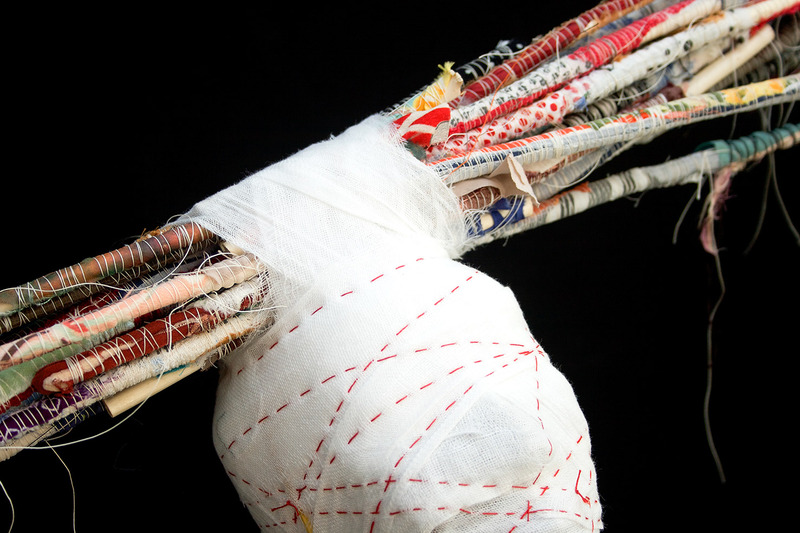 Good question – I have been wrapping objects – feathers, sticks and stones since the early 80’s and in part the process of wrapping is methodical and rhythmic and there is also the mystery of what lies beneath and what is being preserved. Historically we wrap bodies in death (and I have always loved the Egyptian mummy wrapping and in particular the cats); and in birth we swaddle babies to mimic the enveloping protectiveness of the womb. By bundles did you mean ‘many’ or wrapped bundles as in goods and chattels? As an avid collector of flotsam and jetsam (of any kind) something which is also a key element of your practice the ‘many’ represents a collection. And how many of us don’t have a fascination with collecting and collections? You have now got me thinking about this – something else to ponder for the day – thank-you. Great answer Veronica. The process of wrapping is soothing and meditative. I suppose multiple definitions of “bundles” applies here as well. Whenever I see a bundle of sticks it reminds me of a story from childhood that illustrates how a single stick is vulnerable, but a grouping provides strength in numbers. I like flotsam and jetsam because while these objects have been cut free from their previous associations…an aura remains. 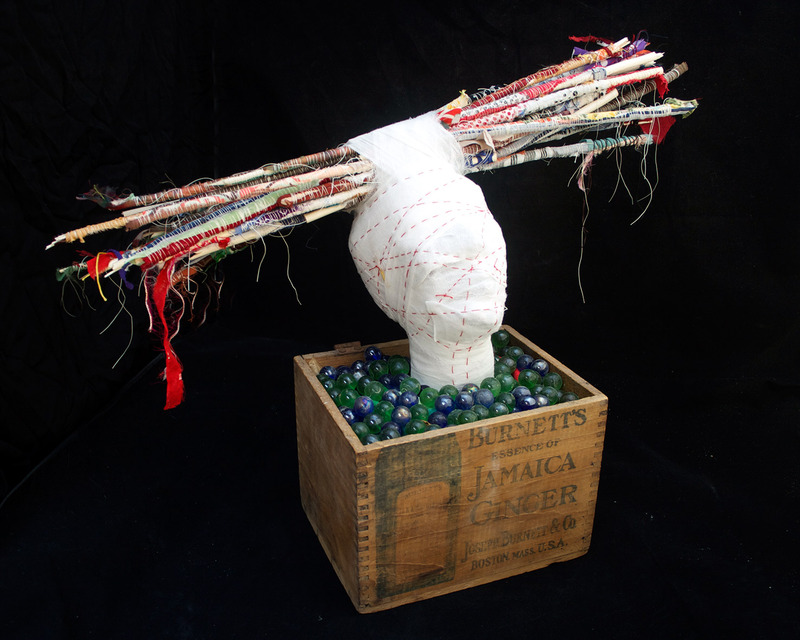 Wow another great piece Veronica, I really love the wrapped ad stitched sticks – that’s right up my street! Yesterday when I was writing a reply I was stuck for a word for the single – and vulnerable suits it perfectly – sometimes it is the very vulnerability of something that draws us in … I also love the previous associations of things they bring a ready made history that we can engage with or ignore but your explanation …an aura remains is perfect – thank you (again). Hi, I do like your sculptures, amazing! and thanks for your appreciation on my drawing!